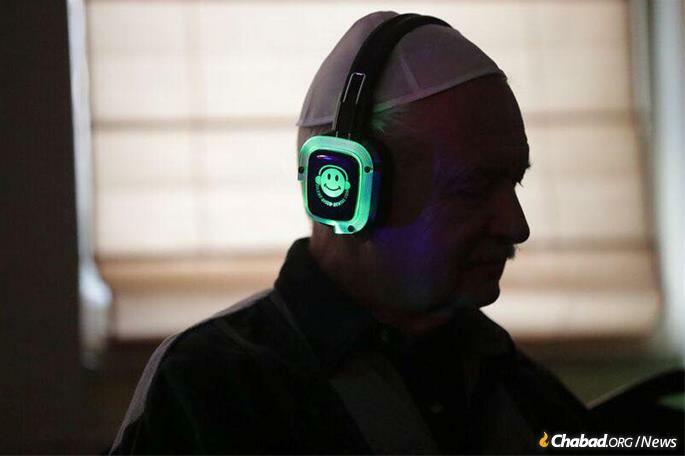 The Sept. 26 “Sukkot Street Party” at the Lubavitch House sukkah featured face-painting, balloon-twisting, street performers, a live band and dancing in the streets—and special headphones for those who might find the music to be loud and overstimulating. Listen up, headphone companies! Rabbi Levi Stein and the Friendship Circle of Wisconsin may have discovered a new market for you. Thanks to the use of special headphones, 50 people with disabilities—many with sensory issues—were able to successfully take part in a recent 250-person community-wide Sukkah event. So Stein had a new idea for this year. He hoped that a sensory-friendly Sukkot celebration would allow Friendship Circle participants and members of the larger community to come together for the Sukkot event. 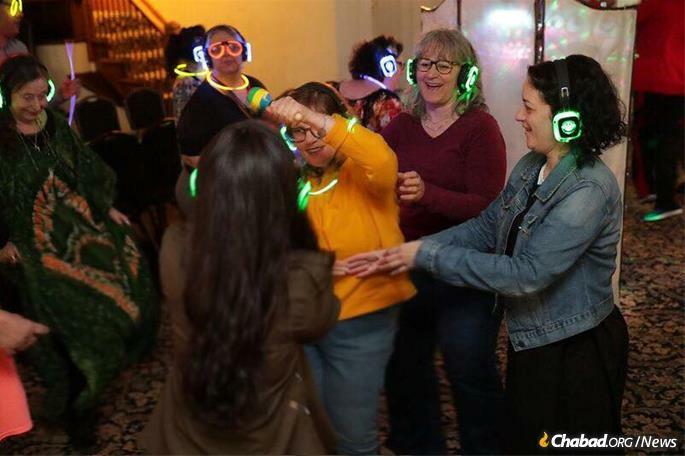 The Sept. 26 “Sukkot Street Party” at the Lubavitch House sukkah featured face-painting, balloon-twisting, street performers, dinner and snacks, a live band and dancing in the streets—and special headphones for those who might find the music to be loud and overstimulating. “When I called the headphone company, they said they never thought of the special-education aspect. 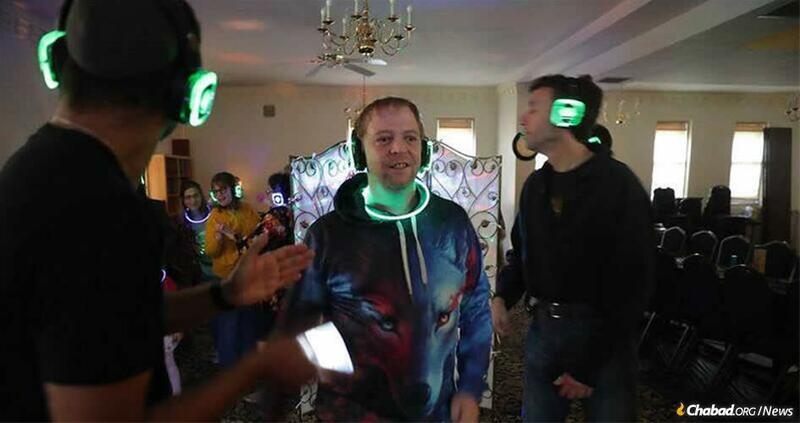 I think it is a game-changer for them; they may have found a new market.” Stein rented 40 sets of headphones that light up in a range of colors. 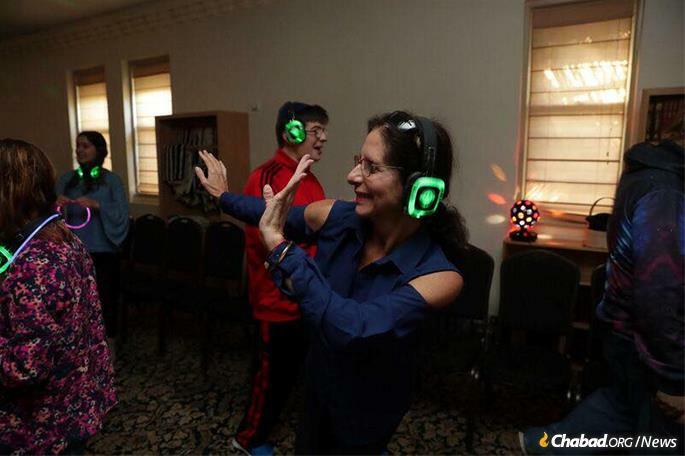 Adults with special needs each got a noise-canceling headset with three tracks: low volume, high volume or simply off. Everyone at the event (with and without headphones) listened to the same music. The Steins were pleased as well. 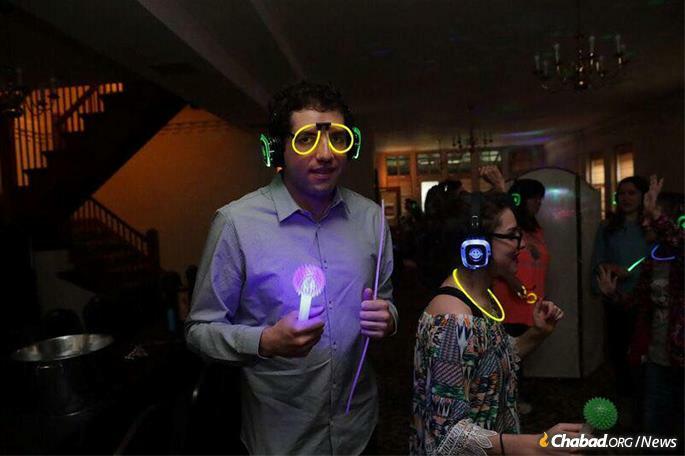 “It was incredible to see people with all abilities coming together and feeling like they had a place ... Everybody felt included and had a great time.” Given the number of special days on the Jewish calendar, the Steins and the headphone company are likely to find ways to continue their wonderful partnership.